just because i like polka dots, doesn’t mean i like all polka dots. scale, color, the width between dots…all of those things come into play when choosing the perfect dot pattern. i thought the girls did a mighty fine job this week with this colorful design, what do you think? and we have more where that came from! download all of the designs from the past here! which one did you choose this week? is there an app to have the lock screen look like that ?! Thank you so much for posting these, Bri! I’m always in need of new wallpapers for both my Mac and iPhone. Danke! I was JUST stopping by to check out your desktop download archives – I needed a change…Excited for the happy surprise of a brand NEW download =) Thanks for the iPhone background too! Polka Dots on my desktop and my smartphone: check. I love dots, thank you! Is it totally ridiculous that I anxiously await the ‘Dress Your Tech’ posts so I can give my desktop background a weekly refresher 🙂 And this week a total bonus on the iphone background too! Love the polka dots! Thanks Bri! both of these are so perfect that it’s difficult to choose, but when in doubt polka dots are always pleasing! wow absolutely stunning! so glad that i can have my backgrounds rotating every 10 seconds so i don’t have to choose JUST one! Always love these. The very first week you did one of the NYC sklyine (I think?). It would be awesome to have an LA one, too! 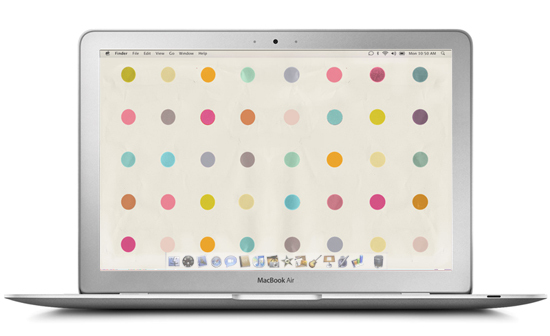 I just changed my desktop wallpaper for the first time in over a year to the dots image! 🙂 Thanks for sharing. I need more gadgets for all these lovely backgrounds! Thank you for sharing your talent! Umm, and I though there would never be a better design than the “BOOM” Wallpaper! Can’t wait to get home and download it! Oh so cute. Is it wrong to have the same wallpaper on my phone and desktop? Thank you!!!! My phone has been going crazy today and it’s nice to look down and see happiness looking back at me. Thank you so much for the desktop wallpaper. 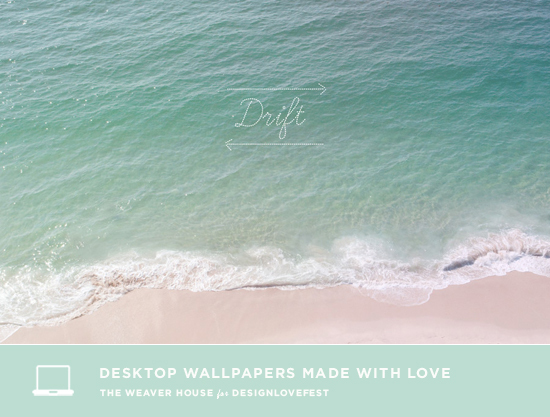 I like summery wallpaper when winter is looming. This fills the bill! LOVE LOVE LOVE the iphone wallpaper! more please?! 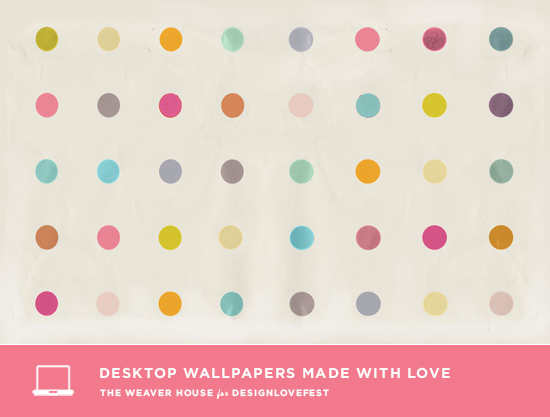 My desktop is now adorned with beautiful polka dots! Thanks girls! omg! thank you so much. i LOVE these dot wallpaper background…. LOVE LOVE LOVE!! Bri, you’re mindreadin’!!! THX for the Polka Dot iPhone Wallpaper!!!! LOVE it!!! I never throught I would give up the Boom desktop but now I have that on my laptop and the dots on my office comp. ah i am loving these!!! i change my desktop all the time! thank you so much for the iphone wallpaper! Rainbow polka dotssss! Hello lover! You will have to pry these wallpapers off of my laptop & iPhone with all the force and might in the world. So awesome. Thanks for sharing these with us! 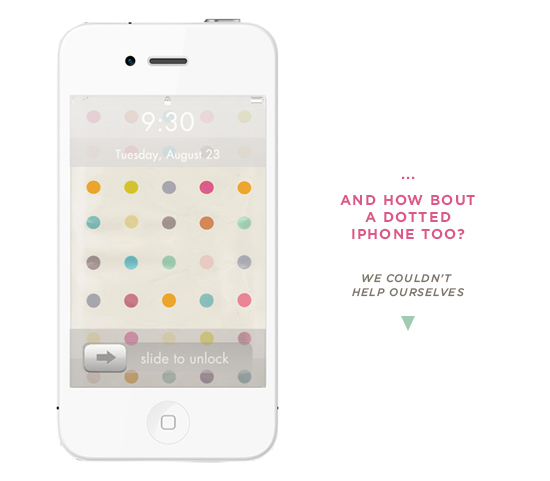 love your polka dot iPhone option! thanks for sharing! hey! love these backgrounds, thank you! it doesn’t seem like you’re answering questions, but i’ll ask anyway. what font are you using on your iphone? do you know how to change it? it’s so beautiful! I believe the font is most likely TW Cen MT. Or something very similar. I actually went through fonts on Microsoft Word and see which one matched the ‘slide to unlock’ most. I guess changing the font would an app. really like what you’re stating and the way in which in which you are saying it. You make it enjoyable and you still care for to keep it wise. I cant wait to learn much more from you. That is actually a tremendous website. care for such information a lot. I was looking for this particular info for a long time. I seriouusly love your blog.. Excellent colors & theme. and extra information, is there any other website which provides these information in quality? Remarkable! Simply all the great words use to this content! Thank you from the bottom of my heart as well as soul and also I will certainly come see again if you keep up the good job! Super lindo, muchas gracias por compartirlo!! !